Technology first used to listen for secret H-bomb tests could now help forecasters tell us what the weather's going to be like up to a month in advance. That's one of the aims of an exciting new international research project which is holding its first scientific meeting at the University of Reading this week. Sixty experts from around the world are meeting to discuss developments in the European-funded ARISE project (Atmospheric dynamics Research and Infrastructure in Europe), which aims to improve measurements in the Earth's stratosphere and mesosphere. The project follows recent studies that show the upper layers of the earth's atmosphere could provide crucial information to provide more accurate longer-term weather forecasts, on timescales up to four weeks ahead. Andrew Charlton-Perez, from the University of Reading, is one of the meteorologists helping to run the event. Dr Charlton-Perez said: "We know much less about the upper atmosphere than we know about what happens closer to Earth, but evidence increasingly shows that what happens up there has a big impact on our weather and climate down here. "We're thrilled to invite this leading group of scientists to Reading, where some of the world authorities on the subject work every day within Reading's Department of Meteorology and Walker Institute. We believe our work could help people in the future to plan their lives and activities around more accurate longer-term weather forecasts." The meeting will discuss three new measurement techniques. One system, atmospheric infrasound, has grown out of the monitoring network set up to enforce the comprehensive nuclear weapons test ban treaty. The system works by listening for very low-frequency sound waves in the atmosphere generated by loud noises, such as ocean waves crashing together and volcanic eruptions, as well as noise from supersonic aircraft and man-made explosions. The technology monitors the stratosphere by looking for changes in the refracting layers of infrasound. 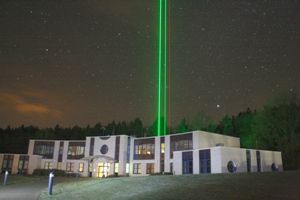 Scientists will also discuss developments with stratospheric LiDAR, which measures particles high in the atmosphere by firing a high-powered laser vertically into the sky, and mesospheric airglow, which examines light emissions and other radiation in the highest reaches of the upper atmosphere, 80-100km above the surface. For more details or to organise interviews, contact Pete Castle at the University of Reading press office on 0118 378 7391 or p.castle@reading.ac.uk. The ARISE Workshop is taking place at the University of Reading from 18 to 21 September 2012. The University of Reading is ranked as one of the top 25 universities in the UK by both the Guardian and Times university guides and is listed among the top 1% of universities in the world (THE World University Rankings 2011-12). Reading is home to both the world-renowned Department of Meteorology and the Walker Institute for Climate System Research.